Our caring staff applies a personal touch to provide beautiful dental crowns and bridges to our patients. We give special attention to each and every tooth. Our restorations are crafted by our experienced ceramists. Why is it important to repair broken teeth? Tooth decay, cracks, or chips make the tooth vulnerable to bacteria. Bacteria can infiltrate the nerves and tissues inside the tooth, leading to a serious infection. Protecting damaged teeth from bacteria will save you from severe pain. Restoring a broken or worn down tooth will improve the aesthetic of your smile and your self-confidence. Fillings are typically used to stop the spread of bacteria, but sometimes a cavity is too large or destructive for a typical filling. Whether you have experienced decay or physical trauma, we can strengthen the tooth with a dental crown. Dental crowns are tooth-shaped caps that fortify the entire tooth. It restores function and aesthetic. Our ceramic crowns are strong and beautiful, and they will feel like natural teeth. Missing teeth affect your confidence. They also make life difficult, affecting everything from chewing to speaking. A dental bridge can close the gaps and protect your smile from shifting and changing any further. A dental bridge is a series of beautiful dental crowns that replace missing teeth. They blend in seamlessly with your natural teeth. They can also be supported by dental implants instead of dental crowns placed on the teeth. Our dental bridges are carefully designed so that they complement your facial structure. They reverse the problems caused by missing teeth and give you the desire to smile again! Don’t put off necessary dental work! 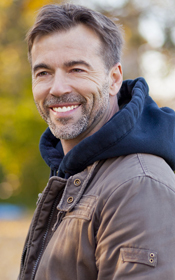 Call Duluth Dental Center today to learn more about how we can give you a healthier smile.